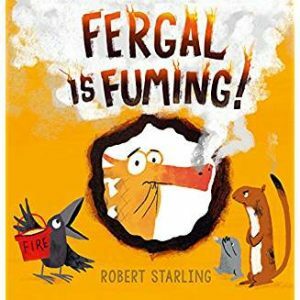 Fergal the dragon is a nice chap, but when things don’t go his way he gets very very ANGRY. He burns the dinner, reduces the football goal to ashes and absolutely cannot play a nice, quiet board game. It’s only when he starts to notice that other animals have clever tricks to calm down that Fergal begins to win back his friends, especially when he discovers dragons can cool off in a very handy way. Saturday 20 October 12.00 – 1.00 p.m.